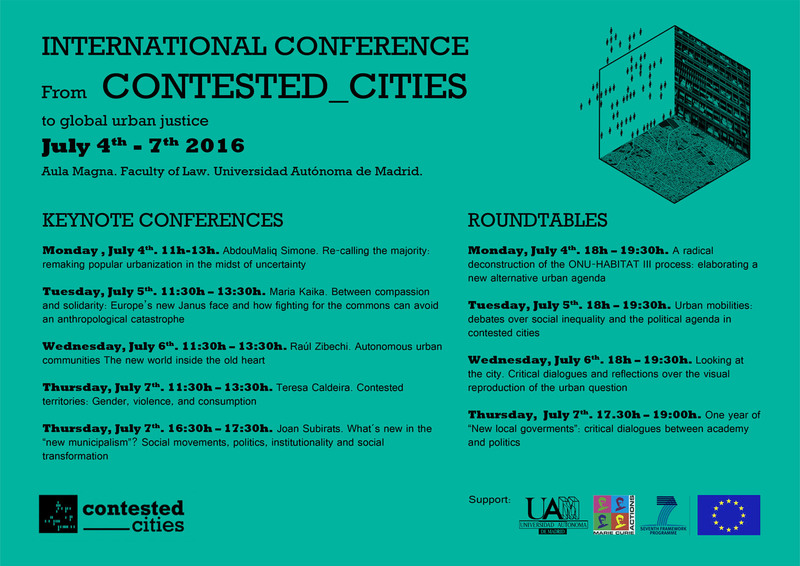 The CONTESTED_CITIES CONFERENCE will be a forum of radical academics, practitioners and activists from different theoretical, disciplinary and geographical backgrounds coming together to probe the multiple forms of urban injustice that shape cities across the world. Cities have always been contested spaces in which struggles over different political visions of urban development, planning and life take place; yet urban contestation is increasing. In recent years this has been manifested through austerity urbanism, crisis politics and processes of financialisation. Millions of urban citizens are experiencing dispossession, displacement and expulsion on a daily basis; their ‘right to the city’ has been denied by diverse forms of neoliberal and authoritarian urban governance. At the same time there is growing global resistance and counter-strategies to these injustices, varying in form, scale and approach. The conference will develop counter-dialogues and perspectives, fighting against these injustices, in an attempt to think beyond neoliberalism. The Conference will take place in Madrid (Spain). This city is at the heart of radical urban struggles; the centre of the 15-M movement. 15-M’s urban and anti-capitalist demands shook the obsolete Spanish party-political system, creating a laboratory of contestation. Such new urban initiatives challenge the established order, and provide radical insights into alternative practices of everyday life. 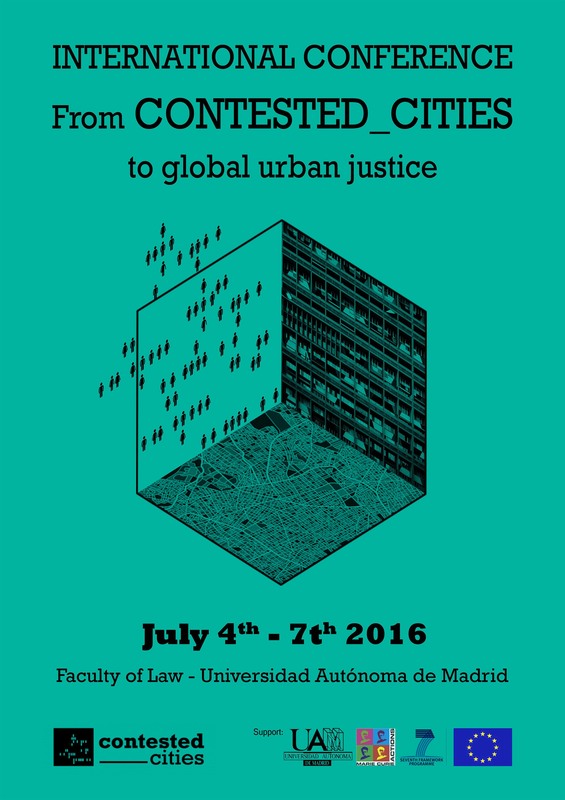 The conference will hear from first-hand experiences of this and other struggles for urban justice.